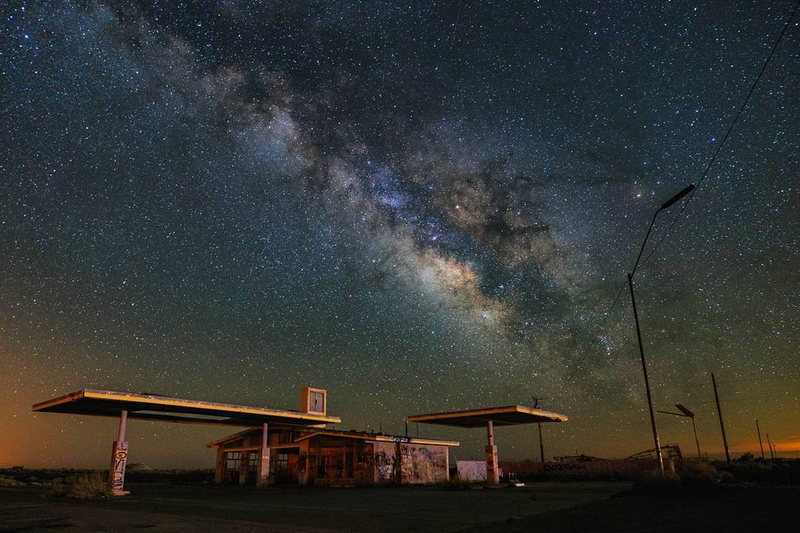 This week for Photo of the Week, we would like to feature a beautiful shot of the Milky Way over an old service station on Route 66. Taken by the talented photographer Jesse Jackson in Two Guns, Arizona, this breath-taking shot of the night skies reflects the beauty of old ghost towns. Often situated in isolated locations, ghost towns are one of the few places where astrophotographers can capture stunning night shots while incorporating a human element into their photos such as a rustic building or an antiquated street light.